Bring 6 cups of water to a boil in a large saucepan, add 2 teaspoons of salt. Reduce heat to low and cook until the mixture thickens, stirring often (about 15 minutes). Turn off the heat, add the butter, minced garlic, fresh basil and stir until the butter is melted and the basil and garlic are completely incorporated. Pour polenta into a greased baking sheet and cool until firm. 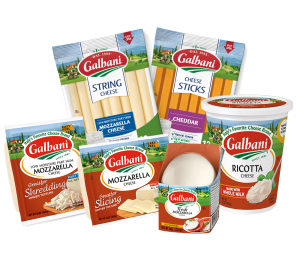 Cut polenta into rounds, top with one slice of tomato, and one slice of Galbani Fresh Mozzarella. 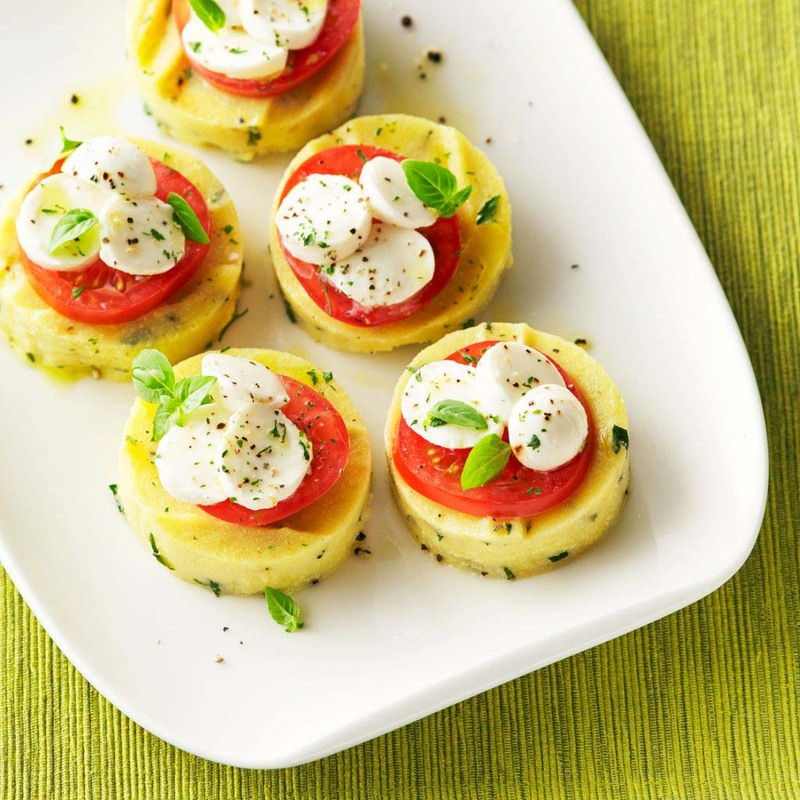 Drizzle each with extra virgin olive oil. Salt and fresh ground pepper to taste.